Stereotypes can be extremely damaging. They have the ability to shake someone’s confidence, make people retract back into their shells, or allow individuals to believe that they can’t achieve something due to their skin colour, ethnicity, race, gender and other similar issues. 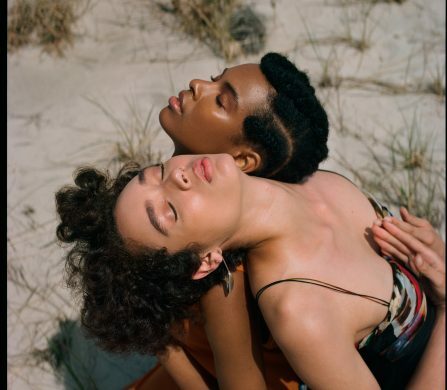 This is a matter especially prevalent in the fashion world: theFashionSpot analysed over 550 campaigns from Spring 2015 to find that of 811 models, 5.7% were Asian, 5.1% were Black, and 2.3% were Latino. This, compared to the 84.7% statistic of Caucasian models, is very telling of the lack of importance that diversity has in the industry. Modelling agency Jacaré Moda has partnered up with nonprofit creative collective Papel & Caneta to create fashion film ‘Resistance: Rio’s Different Face of Fashion.’ Jacaré Moda’s agency exists in Jacarezinho, one of the largest favelas in Rio, and stands as an example of beauty and potential existing on the outskirts. The favelas have mostly been regarded as places of poverty, famine and violence. This fashion film acts as a force of resistance against that label, and the models are the forces of change, challenging fashion stereotypes for young models all around the world. With “the power of union and the will to overcome”, innovation and expression will emerge and flourish. Schön! 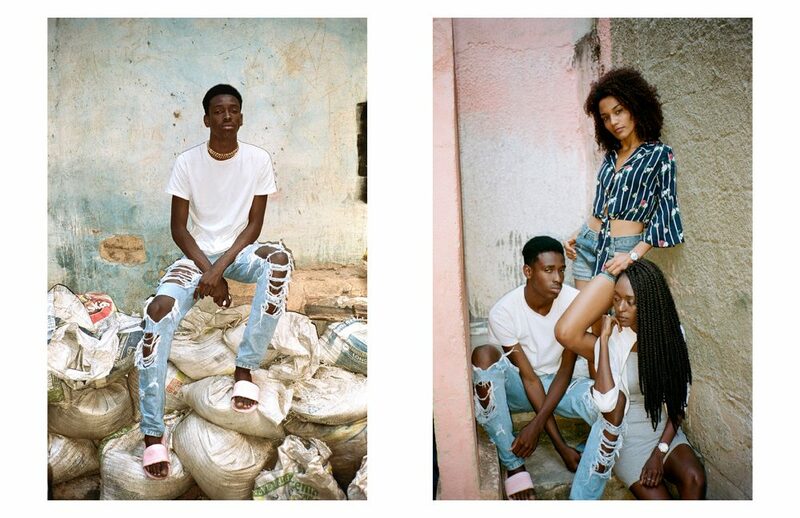 spoke to different members of the fashion film team to learn a bit more about the inspiration for the project, hopes for the future and what life is like in the favelas. Why did you choose to set the film in the favela Jacarezinho? Geoff Levy [director and photographer]: When we first got to Rio, we imagined setting the film in a variety of beautiful locations that one would typically imagine. We thought of shooting by the ocean in the South Zone, but this is because it’s what we knew Rio to be. After getting to know the people in Jacaré Moda, they communicated to us that those images don’t speak to them at all —where they live doesn’t touch or even see water. 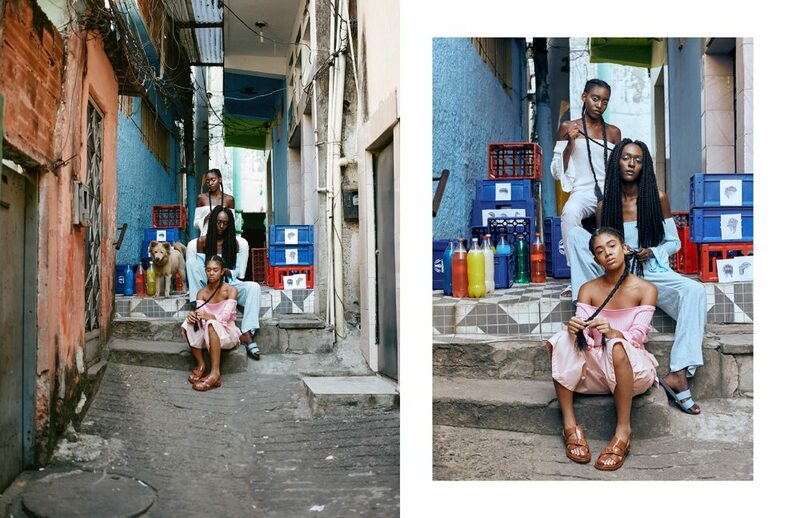 We aligned on the bold choice to not shoot in any locations that one would think of when they think “fashion in Rio” and committed to just shooting in the area that the agency was born in. Not only was it a powerful statement, it was an easy aesthetic choice – the place is incredibly vibrant, inspiring, and unique. 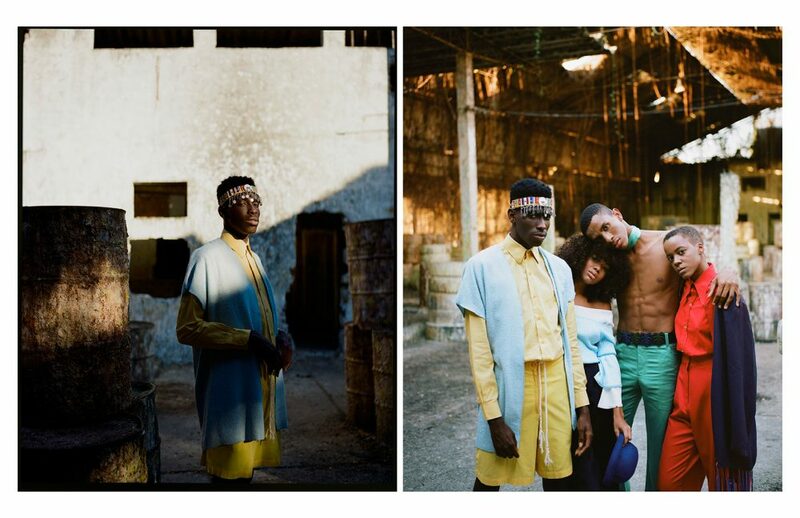 You could turn a corner and experience a whole new life of locations, perfect for both fashion and documentary shooting. It simply made sense to shoot it all there. How do you think the setting speaks to your audience? G.L: I think when you watch the film, you get a great sense of place. You become transported to Jacarezinho and the North Zone. The film doesn’t pretend to show a side of Rio it doesn’t relate to, which makes it feel like an authentic portrait of a place that isn’t typically seen with cameras. I hope that’s what speaks to people –that they feel like they are travelling to this very special community. For me, whenever I watch it, it instantly takes me back. This is an amazing project you’ve created. Can you tell us a bit about how this partnership came about between Jacaré Moda and Papel & Caneta? André Chaves [founder of Papel & Caneta]: Papel & Caneta means Paper & Pen in Brazilian Portuguese. 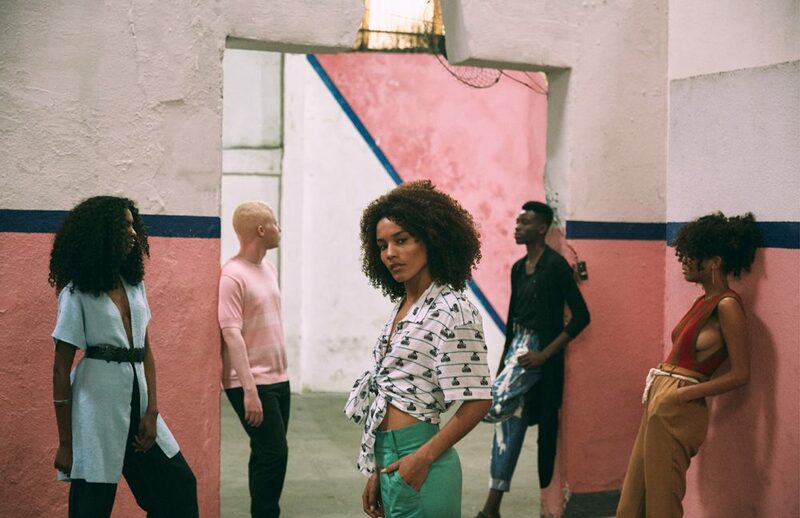 The fact is, although we are a collective made up of leaders and young people from creatives agencies around the world, we felt like it was time to create a project to confront fashion stereotypes and show the reality of Brazil. If fashion is an expression of identity, why is Brazilian style still represented by the whiteness and blondeness of people like Gisele Bundchen when 53% of the population is Black? 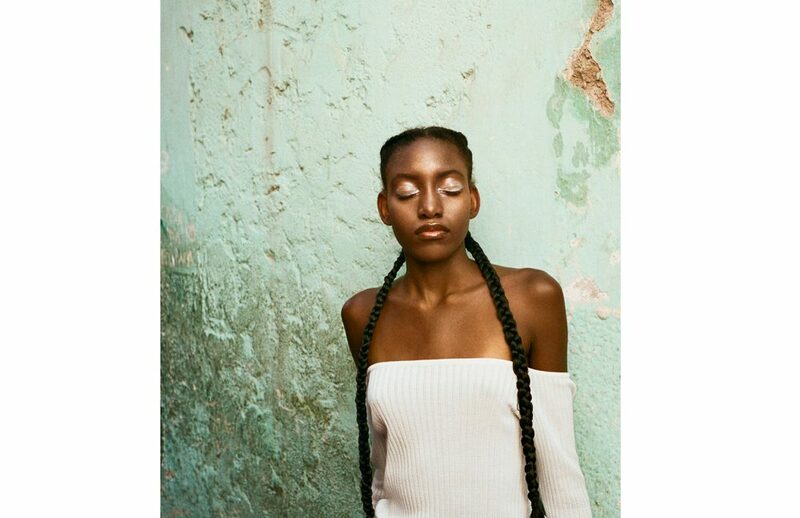 Therefore, over the course of a week, we worked closely with Jacaré Moda and their models to understand their worldview and conceive a film and photoshoot that could reflect their story with simplicity and truth. You spoke about models not only being ‘just’ models but part of a collaborative network. Do you think this is something that is lacking from the runways? Lucas Rodrigues [partner at Jacaré Moda]: Our models aren’t conventional models—they’re creative and unique people with distinct personalities. This triple threat brings incredible results in fashion; and for that reason, we don’t treat them as “just” models. They can be (and are) what they want to be. They’re producers of various content, DJs, musicians, filmmakers, photographers, dancers, visual artists, etc. They are more than models because they have no other choice: they can’t live off a model’s paycheck. They need other gigs to survive. I believe there’s a lack of this type of unique and collaborative talent on the runway today. Basically, the role of the model on the runway is to sell the clothes rather than themselves; however, today, fashion is going through a transition and it questions and debates the model’s role. Is a model’s only role to showcase the clothes and not themselves? What are some of the best things about living in the favela? Camila Reis [model at Jacaré Moda]: I feel it’s important for me to live in the favela and pass along what fashion taught me. I grew up in the favela using all the resources I could find; and was able to make use of a lot of tools that people aren’t aware of. One of the most important and popular uses of our resources is called “gambiarra” —which is basically anything created by improvisation. Today, I try to use the idea of gambiarra in other aspects of my life and I pass that idea along to others and hope they do the same. There’s also the social aspects of living in the favela: here you find cheap shopping that fits my budget and a very supportive and talented community that feels like family. The only thing we’re lacking is the opportunity to speak up, be heard and go places. How can fashion bring peace to the world? Jacaré Moda teaches resistance, which is a powerful force in this world. Why do you think so many of scared to resist against established notions and ideas of certain things? How can people gain the confidence they need to resist? C.R: The search for peace is more urgent than ever. I honestly don’t know if fashion business is able to bring peace to the world, but it surely has its role in making a better world. We need to think about fashion as an industry —one of the most polluting industry, second only to the oil&gas industry. Rethinking ways of production and consumption, with a focus on repairing and valuing the workers’ labour unfortunately doesn’t solve the problem of world peace, but generates a fairer, more humanized fashion movement. Up until today some of the world’s most popular fashion brands are still being called out for using child or slave labour, and that’s unacceptable. Most of the time resistance is about stand up and question the past and present in hope to propose a better future. And raise awareness about identity and representativity is the best way to do it. I know change won’t come from one day to the next and that’s why we need to act on it on daily basis. Why is inclusiveness so important? And why do you think it is something that the fashion scene may be completely ignoring? C.R: Inclusiveness is a way of democratising people’s access to opportunities in different areas or sectors. The lack of inclusion is historical and we need to really look at the past to understand the present and rethink our future. Over the years, our society has experienced many revolutions to break standards, customs and norms. But “opportunity” is the word that defines who will have access or not to certain achievement. So understanding how rich we are culturally and creatively is very important in this process —we’re constantly researching for references abroad and often close our eyes to what happens here, where fashion is a big part of our lives. I see the fashion market still static in the face of a revolution that is bursting, questioning standards, and rethinking fashion is a daily, continuous and fluid exercise. Consciousness is a path with no return, occupying spaces and having the chance to develop is our right. What does fashion mean to you? What positive impact do you hope the fashion film will have on the public, for those living in the outskirts, and out of them? Caio Guimarães [model at Jacaré Moda]: Fashion means everything to me, it means life. Through fashion, I was able to change a lot of misconceptions I had, even about myself. I truly believe in the transforming power of fashion. And I hope after the film people will stop to think about what are we trying to say with the tag “Fashion of Resistance”. I also want people to realize we need to unite forces, talents, aesthetics, genres, social class, cultures —among other things. People need to lose their fear and start to come see the favelas from within. Stop basing your ideas on what you know and have already seen before. You need to make new contacts, hear new voices. All images courtesy of Papel & Caneta and Jacaré Moda.